I heard a story this morning about the fastest growing cities according to the new Census population estimates. 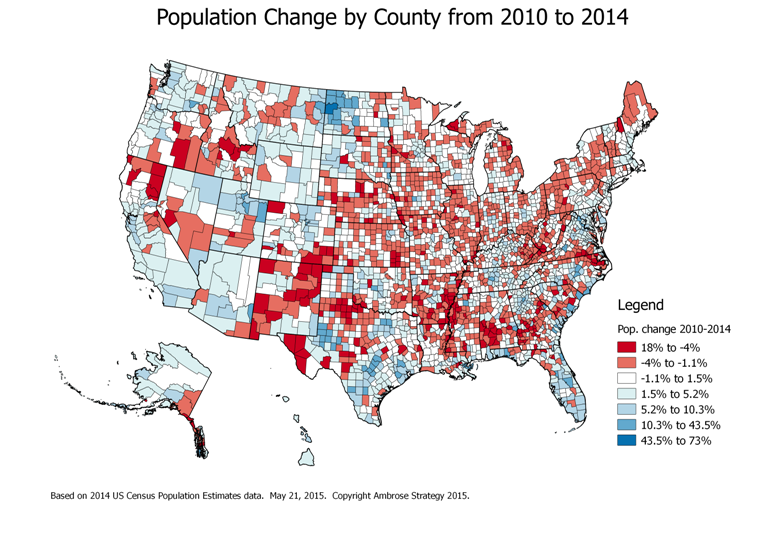 I was curious to see what the population shifts look like across the nation. So I put together this visualization to take a look. At first glance, it looks like people have been moving west, near the water and towards places with abundant energy-related jobs. And conversely many rural areas have undergone actual population loss. Here is a link to a high resolution version. I hope you’ll share your observations. wow, this is very interesting, thank you for sharing this post.